Finally, after months of my spare time that amount to years, I’m finally able to release a version of my hobby project Modellus X 0.1 that I consider suitable for public release. 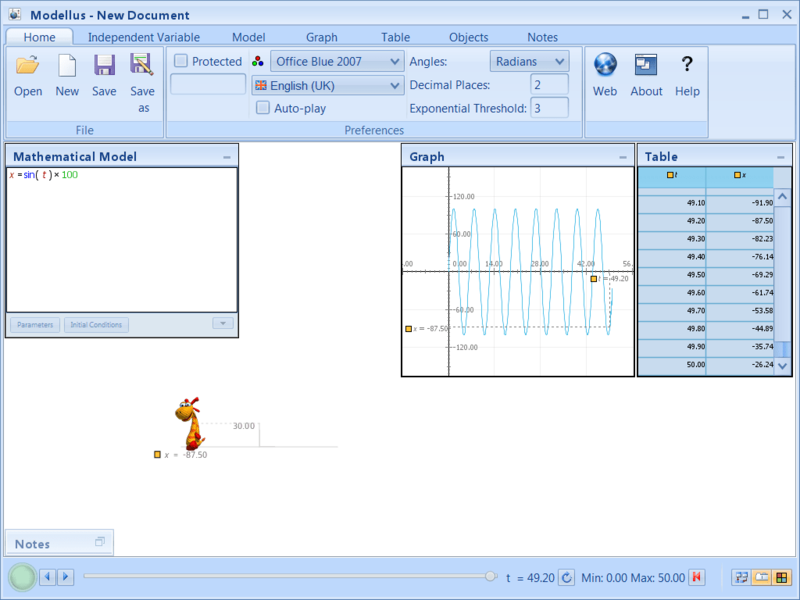 For those who do not know Modellus, it is a free software used mainly to help in the education of sciences. 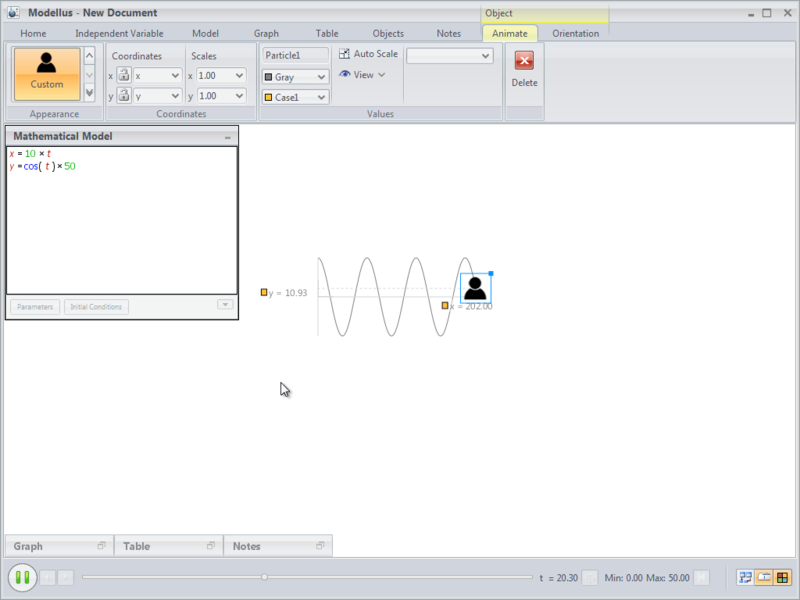 On a more technical level this is a Swing with embedded JavaFX app. This is a release candidate meaning it is very near the final version, the only thing that is missing is translation to other languages (other than English(UK) and Portuguese(Portugal)) and this is where I would ask for your help, if you think you have the capability of translating to other languages/locales that are missing than please contact me, full credit will be given and the Modellus community will be very thankful to you. Also feedback and bug reports would be very helpful. This version can load all models made on previous versions 4.01 and 4.5. You can temporarily get it here: Modellus google code download page You can also get previous Modellus versions examples from there. I’m currently also finishing a new site (www.modellus.co) wish will better serve the community. It will be the future home for all things Modellus. 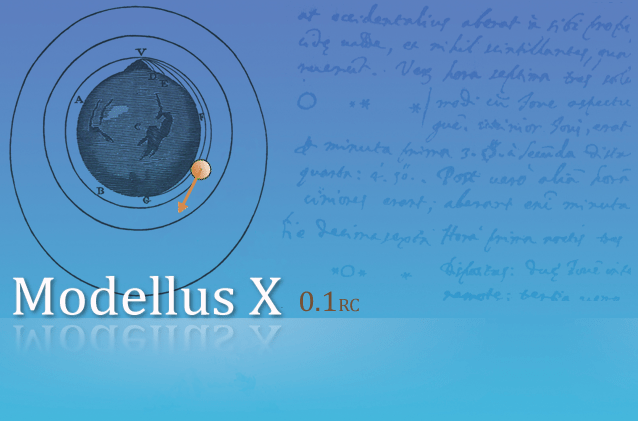 There will be Windows 32, windows 64, mac and linux releases of the final Modellus X 0.1. Going forward I expect to make public releases more often, not more than a couple months or so. I hope you enjoy using it as much as I enjoyed developing it. To keep users updated on the new features being added and upcoming on Modellus 5, I’ll be producing a series of videos and blog posts. For the videos I’ve created a youtube channel: http://www.youtube.com/user/DuqueVieiraPedro and for the posts I’ll currently do them here but in the near future a new blog will be created which will be the focal point for all Modellus news, activities, community news, etc. I’ve been working hard on my spare time with the help of Albino Rafael (fisicanalixa.blogspot.com) which is doing all the user testing, and hope to have a public release soon. Two more features and it will come out, these are controller pause/stop conditions (which I’ll start doing next) and video analysis. First we’ll have a public preview release so translations to other languages may start and shortly after the Modellus 5 final release.